Mandy takes up residence on Lake Michigan, to sort out an unfulfilled life. She desires to make changes, and hopes it could happen while she stays for the month of October. While there, she finds twelve dead gulls floating on the water in front of her cabin. She makes it her mission to find the cause of their death and is suddenly aware of how often the number twelve comes through in our lives; twelve jurors, twelve knights of the Round Table, twelve disciples. She wonders if this number is of universal importance. An almost-tragedy leads her to communicate with her dead mother, and meet Jackson and his dog, who befriends Mandy and shows her how to open her heart. But lurking in the shadows is a psychopath who unnerves Mandy, and causes destruction on the shores of the big lake, pushing Mandy toward danger. 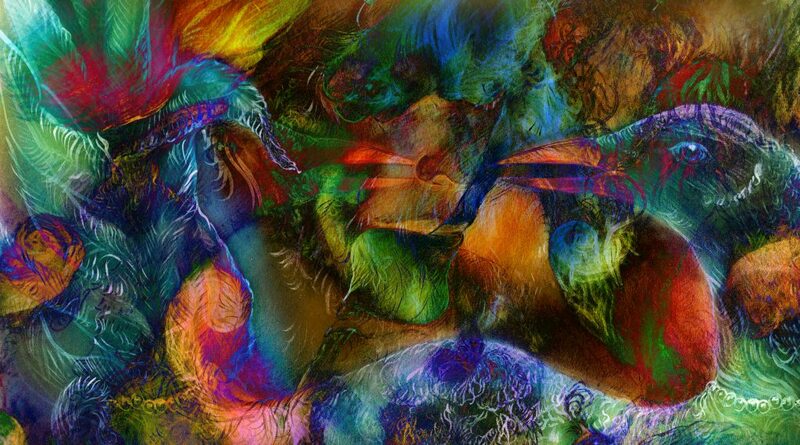 Contact Lynne to Order Your Signed Print Copy! Order Your Kindle Copy on Amazon! 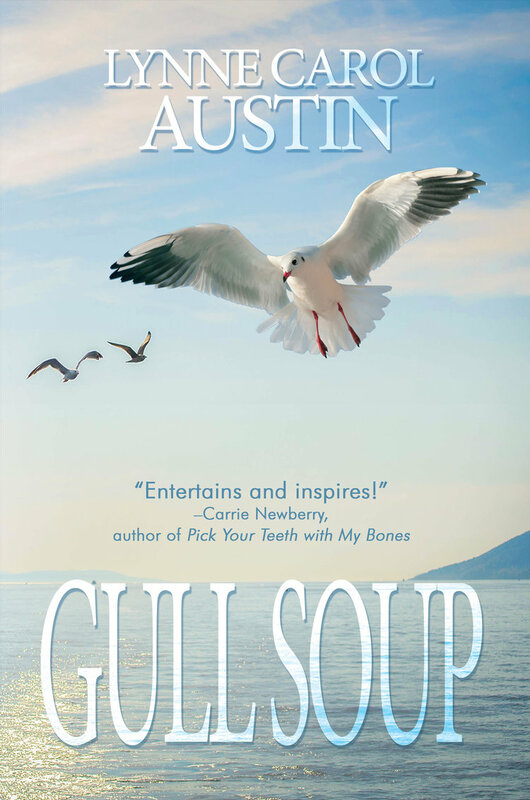 "Not many books manage to both entertain and inspire – Gull Soup does. An enchanting blend of magical spirituality, romance and mystery, it explores love, loss, and learning your place in the world with wisdom and compassion. With characters that you’ll want to know for life, Gull Soup will leave you longing for a sequel!" -Carrie Newberry, author of Pick Your Teeth with My Bones. An unforeseen event in a run-down motel in Jacksonville, N.C., brings two women together in a way neither ever expected. These women now have to coexist, Bible quoting Eleanor juxtaposed with Tarot-reading Kitty, as both their lives are turned upside down. Kitty's innocence and strength, Eleanor's sincere compassion and bravado, along with a mixed bag of other characters - from a detective whose every word comes from a movie script to a sleazy hotel owner who is helplessly in love with a stripper - all creates a full stage of entertainment on a mission. 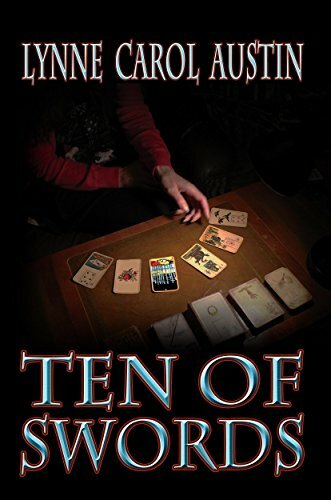 In Ten of Swords, opening the door to kindness is opening the door to the heart, allowing Kitty to reconnect with her past, bringing her into her future, while helping her master the present. "When Kitty first became involved with Tracy, he seemed to be everything that her life lacked. Adventure, love, excitement, and someone who appreciated her. Little did she know that, in the next few days, she would be abandoned, become a murder suspect, and find her own gifts. Eleanor, who works at the motel that is a center point in the book, rescues her. Though they suffer through a number of ordeals, this relationship opens up the future for both women. This book is an enjoyable, quick read, whose only flaw may be that some minor characters are less developed than Kitty and Zeeda. Kitty comes from a broken home. Eleanor is a hard-working, Evangelical, black woman, who hears the word of God, and her husband and kids are good and understanding. Skinner, the hotel owner, is slimy and untrustworthy. Zeeda is an eastern-European Tarot reader who Kitty bonds with while living with her at the motel. MacMannius, the detective on the murder case, is obsessed with movies, to the point where he refers to the subjects of his investigations as characters from classic movies. The one point of contention between the two main characters is more or less solved in a single scene. Despite this, the plot is lively and quick, and the mystery of the book is not resolved to the end. In some ways, this book feels like a long-running TV show or familiar movie. The characters are ones you've known for a long time (even if they are somewhat troublesome), and, even if you know how the story will end up, you still find yourself rooting for them.